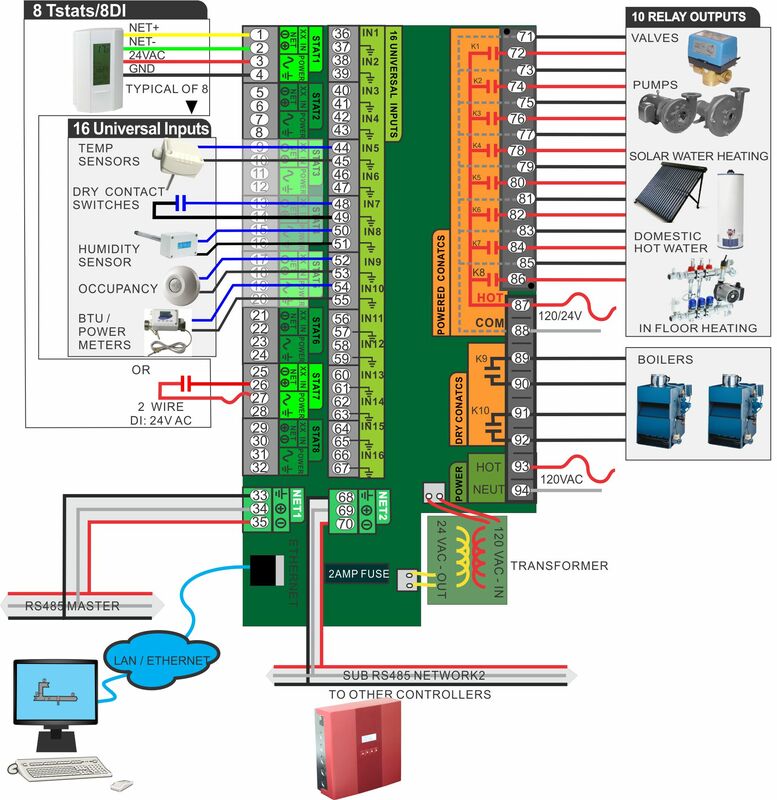 Fully Programmable Bacnet Boiler Room Controller - Temco Controls Ltd.
16 universal inputs, 0-5V, 0-10V, thermister software configured. 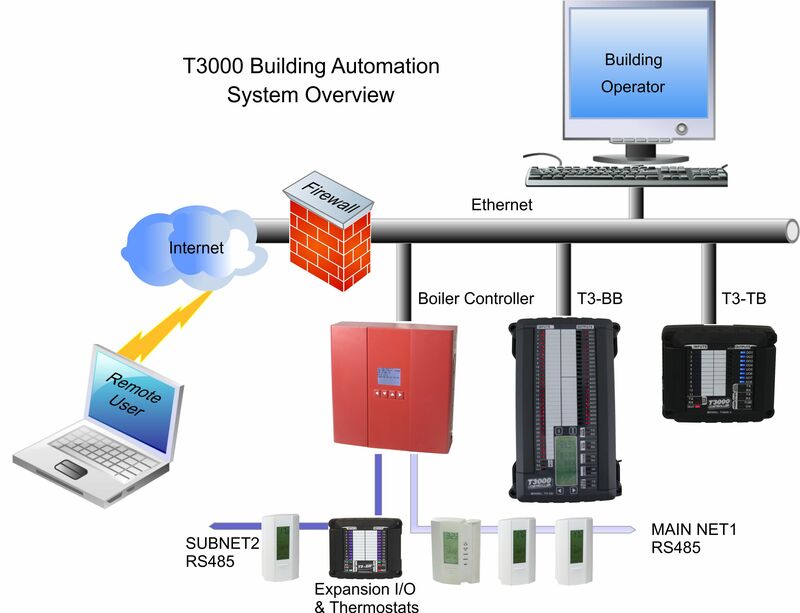 8 thermostats direct connect over RS485, more via subnet or by adding more boiler controllers. Fully programmable, do your own sequence and logic. 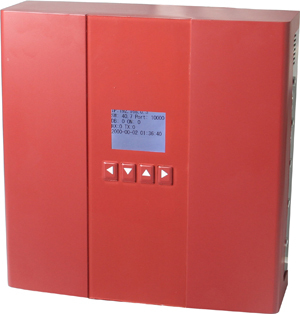 This Boiler Room Controller is fully programmable and can manage any arbitrary collection of boilers and pumps in a typical hydronic application. It is well suited to radiant heating of up to eight zones in a simple stand alone application or can be networked into much larger systems. It sets a new benchmark in the price/performance category, bringing full-fledged building automation features to a whole new class of smaller buildings. Access homes & buildings from a PC or over the net to monitor performance, increase comfort all while saving energy. Integrate into Tridium/Niagara and other existing Bacnet systems for full enterprise management. Each controller supports up to 8 thermostats, either over the RS485 network or for legacy mechnaical stats, using a dry contact 24vac input. 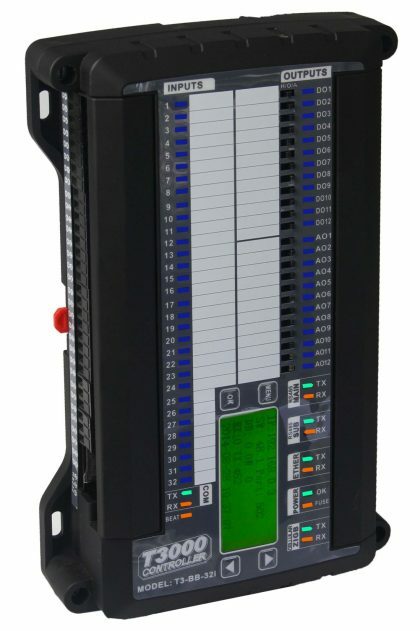 Each controller also supports up to 16 universal input sensors such as 10k thermistors, (Type 2 and 3) , dry contacts, analog signals and 4-20ma transducers. The CM5 supports BOTH the Modbus and Bacnet protocols on BOTH the RS485 twisted pair and the Ethernet LAN port.